- What gift would you like to receive during the St. Valentine’s Day? - Well, I don’t know, – she answers shyly. How do you wish Happy Valentine’s Day for a single? Roses are red, violets are blue. If he’s busy on Valentines Day, the side chick is you! What’s the best part about Valentines Day? The day after when all the chocolate goes on sale. I can’t wait for valentines day because I get to make cupcakes for a special someone and that special someone is me. 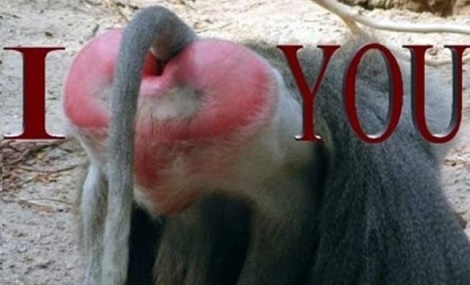 Valentines day….. A day when taken people get laid and single people get drunk. 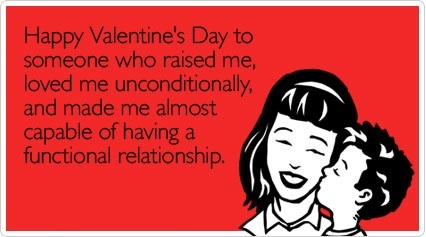 That awkward moment when valentines day is around the corner, and the only person that loves you is your mom. 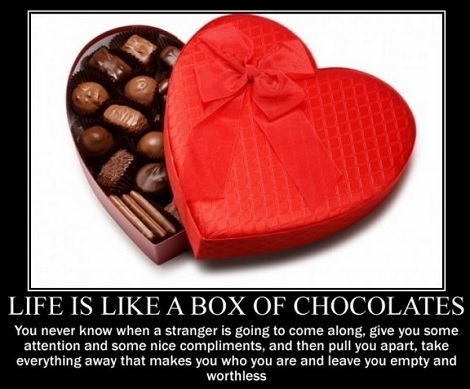 On Valentine’s Day, remember: the only truly painless way out of a relationship is to be the first to die. This Valentine’s Day I’m going to do something I don’t normally do: remember it. 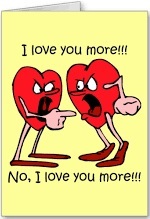 Today is Valentine’s Day – or, as men like to call it, Extortion Day! Hallmark is coming out with a new card for guys who forget Valentine’s Day. The card is small and gold and maxes out at ten grand. The perfect way to get back at a man for forgetting Valentine’s Day is to forget to cook Thanksgiving dinner. Remember your Valentine’s card shows you care enough to send the very best, even though you’re too lazy to put it in your own words. Valentine’s Day is when a lot of married men are reminded what poor aim Cupid has. 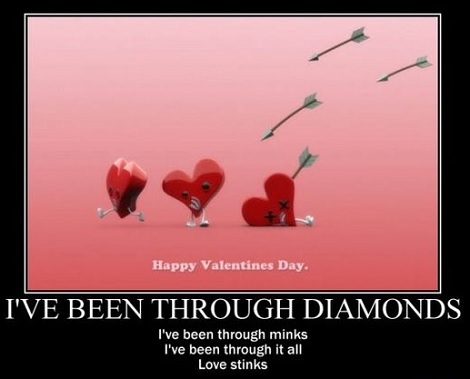 There’s no hell like a woman scorned – except the hell she puts her man through when he forgets Valentine’s Day. 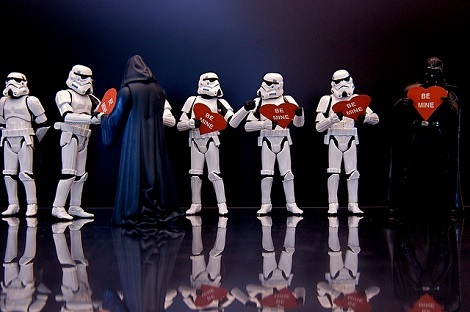 Valentines Day: the holiday that reminds you that if you don’t have a special someone, you’re alone. Valentine’s Day is a man’s way of letting his wife know how much he appreciates her putting up with him during football season. Valentines Day Candy. Ask yourself: is it worth the weight? My husband isn’t very romantic. 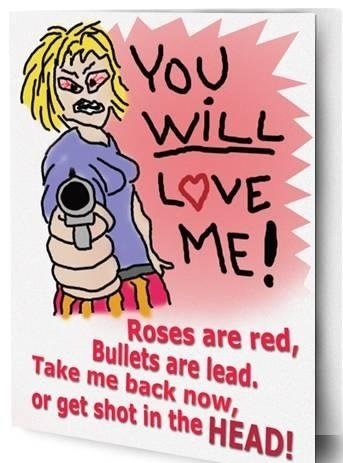 I think he just remembers Valentine’s Day in self defense. I don’t understand why Cupid was chosen to represent Valentines Day. When I think about romance, the last thing on my mind is a short, chubby toddler coming at me with a medieval weapon. “You’ll know tonight,” Jim said. That evening, Jim home with a small package and gave it to his wife. Delighted, Emma opened it – only to find a book entitled “The meaning of dreams”. My dearest wife is always going on and on and ON about NOT making a fuss over her on Valentine’s Day. She repeats that it’s the thought that counts. I was thinking it would be fun to see what color the floor was because I couldn’t remember. • Romantic dinner at fast food restaurant. I was thinking that she might like to go inside for a change instead of fetching dinner at the drive through. • Chocolates left-over from last year’s candy box. I was thinking of how proud she’d be of me for not wasting food. She’s been nagging me for years to recycle. • Midnight moped ride through the park. I was thinking that I’m getting too old to be peddling on the bike. I was thinking these would last a lifetime instead of just a week. • 45 second back massage. I was thinking any longer and she might think I was interested in something else. I was thinking how proud she would be to be a part of the technology crowd. A husband and wife had a fight. Wife called her mom: He fought with me again, I am coming to stay with you. Mom: No dear, he must pay for his mistake. I am coming to stay with you! You know you’ve been married a long time when you BOTH forget your anniversary. And you laugh about it. You know you’ve been married a long time when you rip one and your husband busts out laughing. You know you’ve been married a long time when you realize that your wife knows your blood type…..and you have forgotten what it is. You know you’ve been married a long time when you’ve outlasted all your wedding presents. You know you’ve been married for a long time when your idea of a morning date is a meet up in the dentist’s office. You know when the hubs tells the dog goodbye but not you, you have been married a long time. You know you have been married a long time when you order the exact same thing for dinner and you write the same thing in each other’s card! 1. A kindergarten pupil told his teacher he’d found a cat, but it was dead. 1. You know you’re getting old when you fall down and wonder what else you can do while you’re down there. 3. Well, I have no idea what I’m doing with my life, but I have microwaveable slippers on right now so I can’t complain. 4. I know I’m getting old cause I was looking forward to this all day. Night cap and a good book. 5. You know you’re old when you get excited about buying a laundry bin. This one is a great example of wicker though. 9. You know you’re getting old when you get excited about adding raisins to your oatmeal. 10. You know you’re old when your favourite kind of plans are canceled plans. 12. 9:30 Saturday night: making scones. Guess I’m officially old. 13. After the teens behind me took a selfie with the guy I sat next to on the plane, I asked them who he was. YouTube star. I’m officially old. 15. You don’t know what happiness is until you get a memory foam mattress cover. I’m so old. 16. Nowadays my Facebook timeline is either flooded with food recipes or wedding pictures. God, I’m old. It’s A Good Thing She Was Wearing A Helmet!!! Of Course Honey, You Know I Was Just Kidding Right? 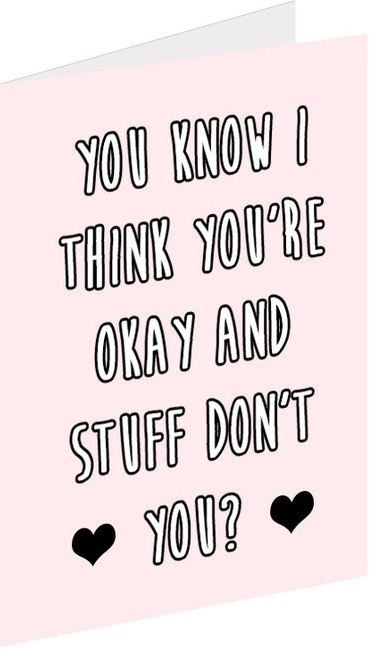 Way To Keep Your Hopes Up! That’s It Get Into The Spirit Of The Season!